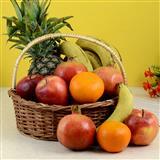 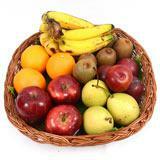 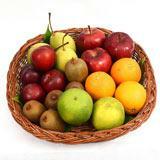 Send your dear ones in all cities in India a pretty fruit basket from the online gift store of GiftsAcrossIndia.com. 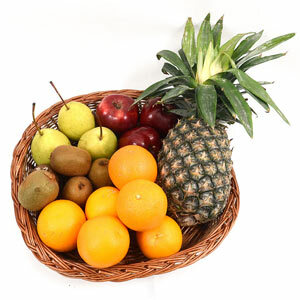 The cane basket contains half kg of apples, one kg of orange, half kg of pears, half kg of kiwis and one pineapple. 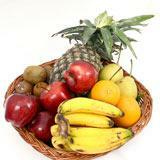 All these fruits will be put together in a cane basket for your loved ones in all cities in India. 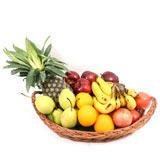 Along with this basket you can also send other Gifts across India via our online gift store as well.